Have you ever thought about trying meditation, but didn’t know how to get started? 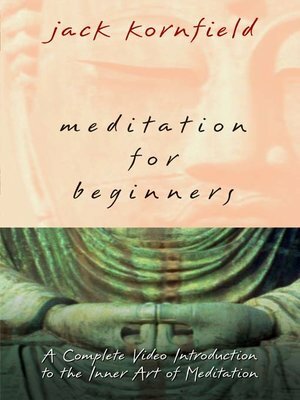 On Meditation for Beginners, trusted teacher Jack Kornfield uses clear language and four step-by-step video demonstrations to show you how easy it is to start—and stick with—a daily meditation practice. In this complete beginner’s course, Jack introduces you to the insight or vipassana practice of meditation. Buddhist monks draw from this same tradition, yet anyone can use its principles to cultivate a profound inner calm, while awakening to the truth of life. Discover how to use your breath, physical sensations—even difficult emotions—to create tranquility and lovingkindness in everyday life. Now you can begin meditating today—in just the time it takes to watch Meditation for Beginners.